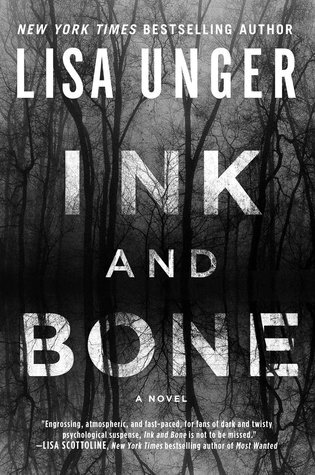 In this explosive psychological thriller by New York Timesbestselling author Lisa Unger, a young woman’s mysterious gift forces her into the middle of a dangerous investigation of a little girl’s disappearance. For as long as she can remember, twenty-year-old Finley Montgomery has been able to see into the future. She dreams about events before they occur and sees beyond the physical world, unconsciously using her power to make supernatural things happen. But Finley can’t control these powers—and there’s only one person who can help. So Finley moves to The Hollows, a small town in upstate New York where her grandmother lives, a renowned seer who can finally teach Finley how to use her gift. A gift that is proving to be both a blessing and a curse, as Finley lands in the middle of a dangerous investigation involving a young girl who has been missing for ten months and the police have all but given up hope. With time running out there’s only so much Finley can do as The Hollows begins to reveal its true colors. As she digs deeper into the town and its endless layers, nothing is what it seems. But one thing is clear: The Hollows gets what it wants, no matter what. I was talking with a friend today about how hard it is to write a review about a book that you didn´t like. Because someone took its time to write about something and for you just say it´s awful, It´s not the best feeling. But to write about a book you loved it´s really easy, you almost can´t stop writing about it. So, to make a long story short, I loved this book. It´s a well written mistery with a well done twist to keep you alert and hooked to the story. 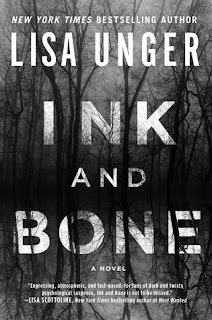 Lisa Unger has certainly become one of my fav authors. Eu estava falando com uma amiga hoje sobre o quão difícil é fazer uma resenha sobre um livro que você não gostou. Porque alguém tomou seu tempo para escrever sobre algo e para você, apenas dizer que esse livro é horrível, não é o melhor dos sentimentos. Mas escrever sobre um livro que você ama é muito fácil, você quase não consegue parar de escrever sobre ele. Então, para encurtar a estória, amei este livro. É um mistério bem escrito com uma reviravolta bem feita para mantê-lo alerta e engajado na estória. Lisa Unger certamente se tornou uma das minhas autoras favoritas.